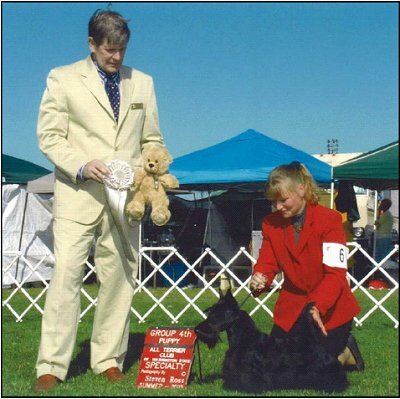 November 2009, our Charthill Radiant - Fiona finished her championship in Florida expertly handled by Vanessa Fleming. Fiona finished over three weekends with a Group One, Group Three and 4 majors. 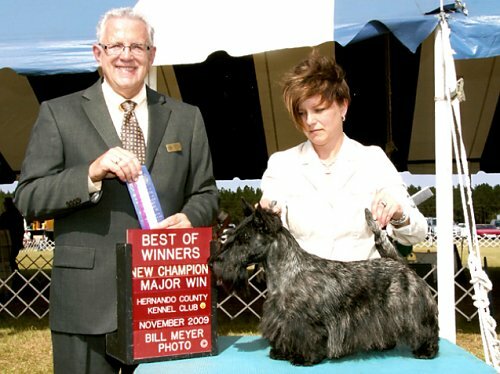 In September of 2010 she whelped a litter of six puppies and returned to the ring in December 2010 and won her first GCH point. On January 19, 2008 Chloe, Ch. 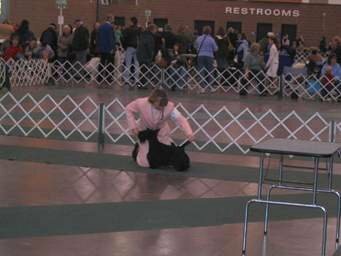 Ayrshire’s Midnight Secret, completed her championship at the Portland Dog Fanciers show. 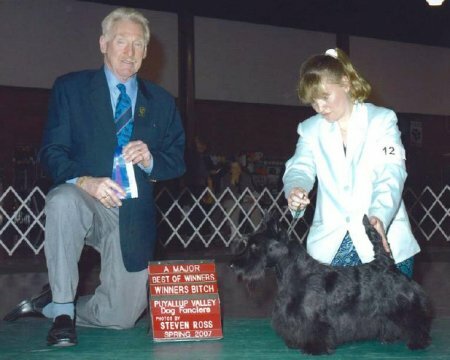 Here Chloe with her first Best of Breed win. 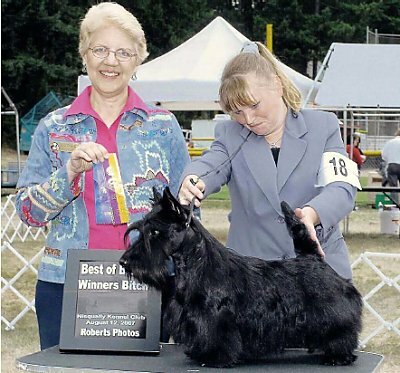 Ayrshire’s Midnight Secret (Chloe) gets her first major @ the Puyallup Kennel Club show June 9, 2007, along with two more wins in Yakima, Chloe now has 9 points. 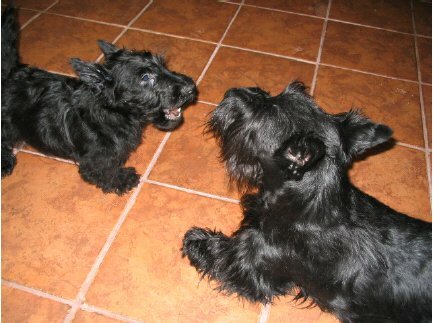 Ayrshire’s Hurricane (Reggie) @ play with Chloe May 2007, Reggie was whelped 2/23/07, he was sired by CH Glenby’s Secret Treasure. 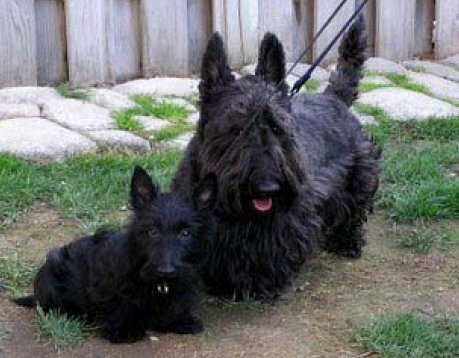 Reggie has decided to stay at home with his Mom, CH Ayrshire’s Twist of Fate and hopefully start a show career in the near future. 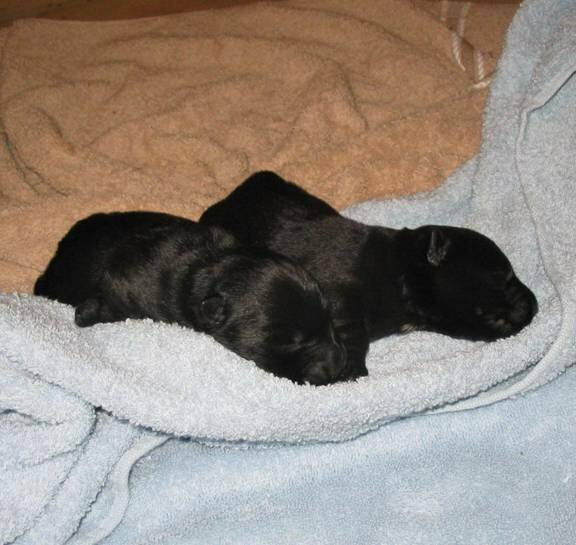 Reggie’s sister, Ayrshire’s Mozambique (Roxie) has gone to live with her Uncle Kodi (Zoe and Mollie’s brother) in Eastern Washington. 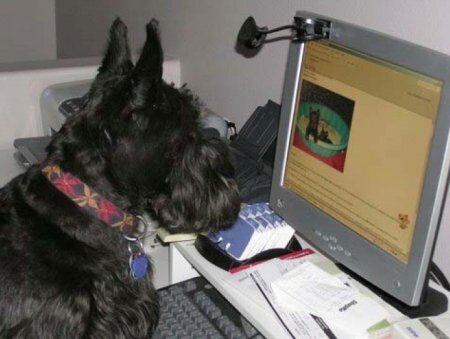 Uncle Kodi spent hours on the computer checking out Reggie and Roxie. 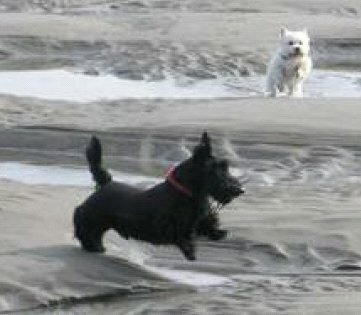 And from the coast of Washington, Ayrshire’s Black Jack (Chloe and Rudie's brother) continues his beach habits with Westie buddy. Rudie (Ayrshire’s Midnight Rowdy Lad) began his show career with a BW and WD at the Tacoma show in Puyallup WA on 1/12/07. 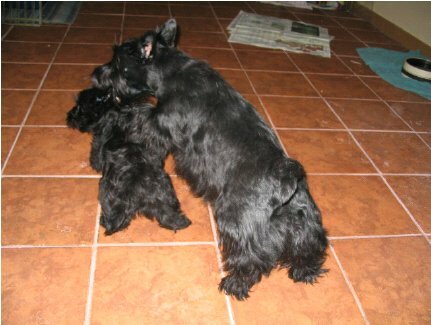 Here’s Chloe with a Puppy Group 4 Placement in August 2006 at 9 months old. 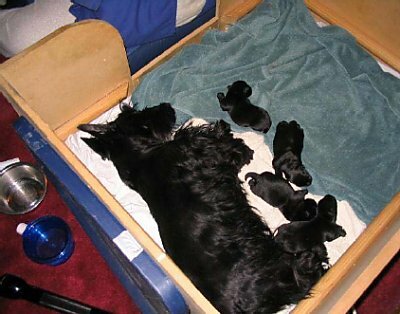 On February 23 2007 Ayrhire’s Twist of Fate (Mollie) whelped a boy and girl. Sire is Glenby’s Secret Treasure (Mason).